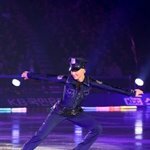 Kiira Linda Katriina Korpi (born 26 September 1988 in Tampere, Finland) is a figure skater from Finland. She won the bronze medal 2007 European Championships in Warsaw. She competed in the 2006 Winter Olympics where she finished in 16th place. She competed in the World Junior Championships in 2005 and the European Championships in 2006. Although she finished 3rd at Finnish Nationals, her skating federation used the European Championships to determine the final two spots for the Olympics. Korpi has two coaches: Maaret Siromaa and Susanna Haarala. Her choreographer is Nelli Petänen. Kiira Korpi's father, Rauno Korpi, coached the Finnish women's hockey team to a bronze medal at the 1998 Winter Olympics.